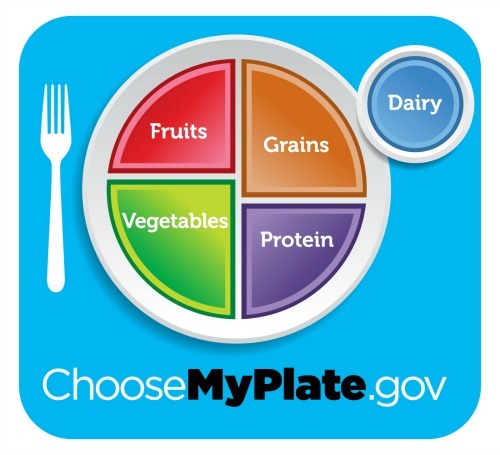 Knowing the basic food groups is a good starting point for a healthy diet - at any age. With everything we see online, on TV, in newspapers and magazines about healthy eating, it's easy to get lost in all the clutter. Let's start with the basic here. The United States Department of Agriculture (USDA) first presented nutritional guides by way of a farmer's bulletin published by Dr. Wilbur Olin Atwater in 1894. 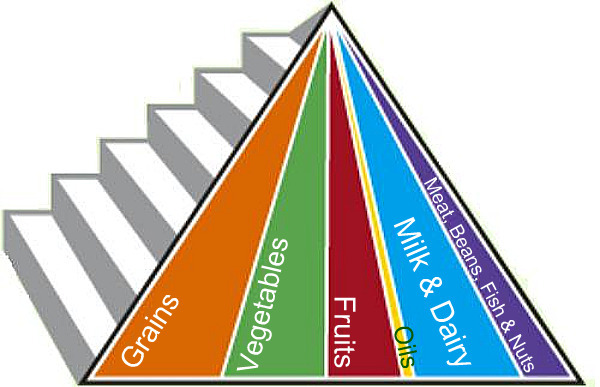 Over the many decades since, nutrition guides and food categories have evolved in various forms, including Food for Young Children by nutritionist Caroline Hunt in 1916, the Basic 7 (USDA) in 1943, the Basic Four (USDA) in 1956, the Food Pyramid (USDA) in 1992, My Pyramid (USDA) in 2005, and most currently Choose My Plate (USDA) in 2011. Fruit Group - any fruit or 100% fruit juice, whether fresh, canned, frozen, dried, whole, cut up, or pureed. Common fruits include apples, apricots, bananas, berries, cherries, citrus fruits, grapes, kiwi fruit, melons, fruit cocktail, nectarines, peaches, pears, pineapples, plums, papaya, prunes, raisins and 100% fruit juices (apple, orange, grape and grapefruit). Grain Group - any food made from wheat, rice, oats, cornmeal, barley or another grain product, such as enriched whole grain bread and rolls, English muffins, bagels, pasta, oatmeal, breakfast cereals, tortillas, and grits. Grains in this food group are classified as either whole grains (containing the entire grain kernel, including the bran, germ, and endosperm) or refined grains (milled to remove the bran and germ, giving the grain a finer texture and longer shelf life, but also removing dietary fiber, iron, and many B vitamins). Most refined grains are enriched, meaning certain B vitamins (thiamine, riboflavin, niacin, folic acid) and iron are added back in after processing. But since fiber is not added back in, it’s best to check the ingredient list on refined grain products to see if the word “enriched” is included in the grain name. Some food products are made from combining whole grains and refined grains. The USDA recommends that whole grains comprise at least half of all grains consumed each day. Vegetable Group - any vegetable or 100% vegetable juice, whether raw, cooked, fresh, frozen, canned, dried/dehydrated, whole, cut up, or mashed. 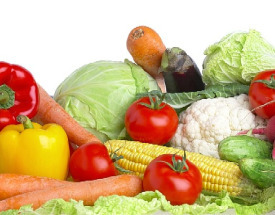 In this food group, vegetables are organized into five subgroups, based on their nutrient content: Dark Green (e.g., lettuce, broccoli, spinach, turnip greens, bok choy and watercress); Red and Orange (e.g., carrots, squash, sweet potatoes and pumpkin); Dry Beans and Peas (e.g., black beans, black-eyed peas, garbanzo beans, kidney beans, lentils, navy beans, soy beans, split peas, white beans); Starchy Vegetables (e.g., corn, green bananas, green peas, lima beans and potatoes); and Other (e.g., artichokes, asparagus, bean sprouts, beets, brussel sprouts, cabbage, cauliflower, celery, cucumbers, eggplant, green beans, green peppers, iceberg lettuce, mushrooms, okra, onions, parsnips, turnips, wax beans and zucchini). Protein Group - all foods made from meat (e.g., beef, ham, pork, veal, lamb, liver, giblets, venison, rabbit and bison), poultry (e.g., chicken, turkey, duck and goose), fish (various fin fishes, shellfishes, and canned fishes (such as tuna, clams, anchovies and sardines), various dry beans and peas (which also belong to the vegetable food group), eggs, nuts, and seeds. Diary Group - fluid milk and products made from milk that retain their calcium content, including hard and soft cheeses, puddings, cottage cheese, yogurt and ice cream, but excluding milk products that have little or no calcium, such as cream cheese, cream, and butter. While oils are not considered a food group per se, the USDA still makes certain recommendations since oils contain some essential nutrients. Oils - fats that are liquid at room temperature, like the vegetable oils used in cooking (e.g., canola oil, cottonseed oil, olive oil, safflower oil, soybean oil and sunflower oil) and originating from plants and fish. Foods that are naturally high in oils include nuts, avocados, olives and certain fish. 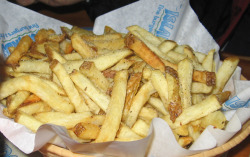 Foods such as mayonnaise, certain salad dressings, and soft (tub or squeeze) margarine with no trans fats are mostly oils. Most oils are high in monounsaturated or polyunsaturated fats, and low in saturated fats. Foods and oils originating from plant sources (vegetable and nut oils) never contain any cholesterol. When we were growing up, a serving size was whatever portion mom or dad put on our plates for supper each night. Ever since, it’s probably been whatever size we feel like eating, or even worse, whatever size we’re being served at the restaurant or drive-thru. But now that we’re reading the labels on all the foods that go into our daily diet, it’s important to know what the serving sizes equate to. Fruit Group – generally, 1 cup = 1 cup of fruit or 100% fruit juice, or ½ cup of dried fruit, or 1 banana, or 1 small apple, or 1 pear, or 1 orange or ½ grapefruit. USDA recommends 2 cups daily for men, 1 1/2 cups daily for women. Grain Group - generally, a one ounce equivalent = 1 slice of bread, or 1 cup of ready-to-eat cereal, or ½ cup of cooked rice, cooked pasta, or cooked cereal, or ¼ bagel, or 1 small muffin, or ½ English muffin or 1 pancake. USDA recommends 3 oz. daily for men and women alike. Vegetable Group - generally, 1 cup = 1 cup of raw or cooked vegetables or vegetable juice, or 2 cups of raw leafy vegetable. USDA recommends 2 1/2 cups daily for men and 2 cups daily for women. Protein Group – generally, 1 ounce = 1 ounce of meat, poultry or fish, or ¼ cup cooked dry beans, or 1 egg, or 1 tablespoon of peanut butter, or ½ ounce of nuts or seeds or 1 can of tuna fish. USDA recommends 5 1/2 oz. daily for men and 5 oz. daily for women. 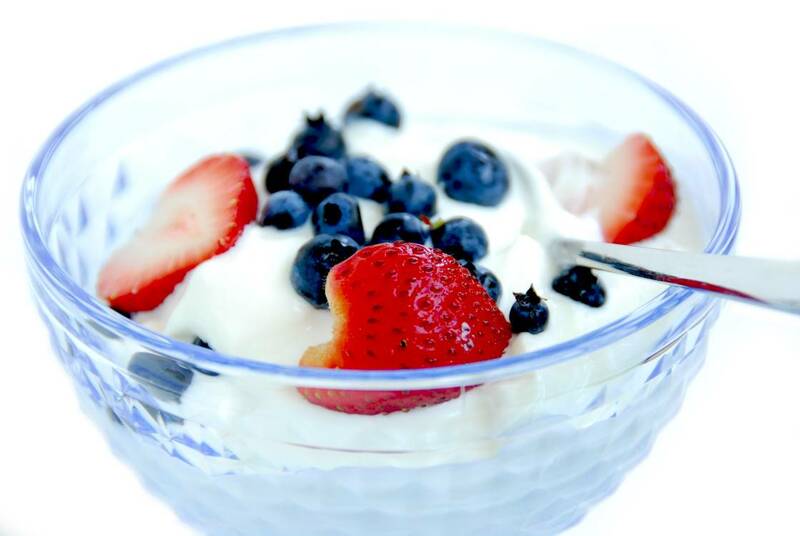 Dairy Group - generally, 1 cup = 1 cup of milk or yogurt, or 1 ½ ounces of natural cheese, or 2 ounces of processed cheese, or 2 cups of cottage cheese, or 1 cup of pudding, or 1 cup of frozen yogurt, or 1 ½ cups of ice cream. USDA recommends 3 cups daily for men and women alike. Oils – 1 tbsp of vegetable oil = 3 T of oil; 1 tbsp of margarine or mayonnaise = 2 ½ T of oil; 2 tbsp of Italian dressing = 2 T of oil; 2 T of peanut butter = 4 T of oil; and 1 ounce of mixed nuts = 3 T of oil. USDA recommends 6 tsps. daily for men and 5 tsps. daily for women.